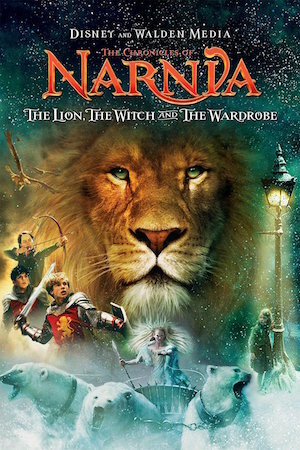 The Chronicles of Narnia: The Lion, the Witch, and the Wardrobe was a bestseller even before it was a hit in theatres. The movie is based off of C. S. Lewis’ children’s novel written in 1950. Set in England when World War II was ravaging most of Europe, the story follows the four Pevensie children as they discover another war-torn world hidden in a closet. It is easy to relate with the children throughout the movie as they are faced with difficult problems and decisions to make, despite their artistic encapsulation in the fantasy world of Narnia. A significant theme in this first film of the five-book series is forgiveness. We see this most clearly through the character of Edmund, the younger brother of the four siblings. Edmund betrays his family and follows after the evil witch – a wretched woman who was crippling Narnia through her wrongful claim to its throne and following instigation of oppressive rule. Even though he has been disobedient, King Aslan sends his forces to rescue Edmund from the clutches of the witch. After his rescue, Edmund is reunited with his brother and sisters. The awkwardness between him and his siblings is evident; Edmund is clearly feeling shame over his own wretched behavior, and his brother and sisters are hurt by what he did. I’ll admit it, Aslan’s line there made me do a double-take. Not only did he forgive Edmund’s betrayal, he also commanded that others forgive him, as well. Edmund committed very serious crimes that should have resulted in his death, but instead of punishment, he received forgiveness from the king. When King Aslan forgave Edmund, that settled it. Earlier in the movie, the evil witch lured Edmund to be a traitor by showing him respect that his siblings didn’t and giving him the yummy Turkish Delight snacks. Are those good enough reasons to betray your family and/or friends? After Edmund discovered that the witch was simply using him, he had a change of heart and was rescued by Aslan’s forces. How do you think he felt when he was returning to the group he had betrayed? We aren’t told what Aslan said to Edmund about his past betrayal while they were talking on the hill. What do you think Aslan said to him? Why do you think Aslan did this? Jesus entered Jericho and made his way through the town. There was a man there named Zacchaeus. He was one of the most influential Jews in the Roman tax-collecting business, and he had become very rich. He tried to get a look at Jesus, but he was too short to see over the crowds. So he ran ahead and climbed a sycamore tree beside the road, so he could watch from there. Zacchaeus quickly climbed down and took Jesus to his house in great excitement and joy. But the crowds were displeased. “He has gone to be the guest of a notorious sinner,” they grumbled. That’s it – there’s not drama, no guilt or blame. How could such a love exist? Zacchaeus was a Jewish tax collector, who made his living collecting taxes for the Romans. In those days, tax collectors were known for ripping off their own people so they could become rich themselves. Knowing that Zacchaeus did this, would you label him a traitor or not? Why? According to this passage, was Zacchaeus a very popular guy? What did everyone think of him? Do you think that Jesus knew Zacchaeus was an unpopular, sinful, rip-off artist? Just like Aslan showed love and forgiveness to Edmund in Narnia, Jesus showed love and forgiveness to Zacchaeus in Jericho. What was Zacchaeus’ response to that kind of love and forgiveness? Do you think it was hard for Edmund’s family to take him back? Do you think it was hard for Zacchaeus’ friends to take him back? Why or why not? What would your response have been if you were in the crowd with Jesus and Zacchaeus that day? Do you think Jesus is still willing to forgive traitors? Why or why not? We looked at these two stories tonight because the truth of the matter is, we are all traitors in some way. But, God is willing to forgive our past, just like Aslan forgave Edmund and Jesus forgave Zacchaeus. Many of us have tried to do things our own way instead of God’s way, and just like Edmund and Zacchaeus who believed lies and betrayed those closest to them, we have done the same thing. Like Edmund, we are overcome with guilt and shame. Like Zacchaeus, we have no one who is willing to trust us again. Since we don’t want to be like the crowd around Zacchaeus that day, what will you do this coming week to make sure you are willing to forgive those that Jesus is willing to forgive?